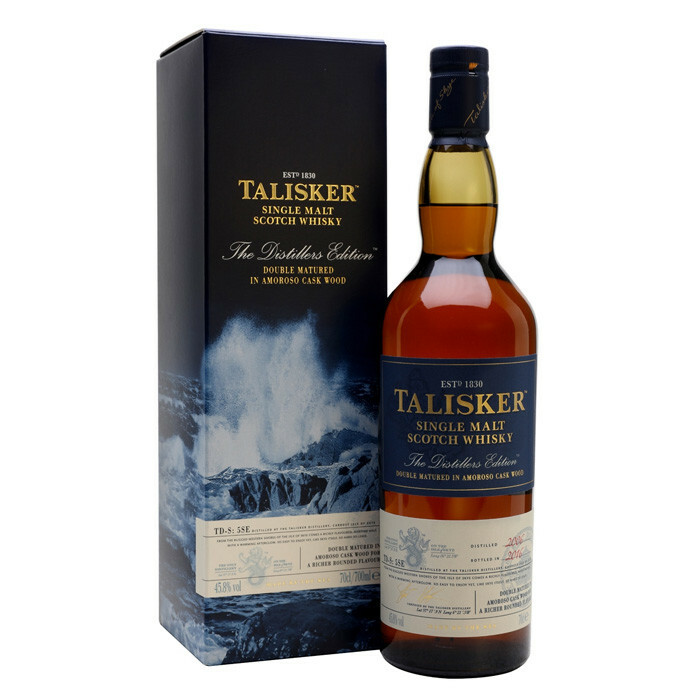 Talisker's The Distillers Edition is finished in amoroso casks, similar in style to sweet oloroso sherry. This 2003 vintage has sweetness and fruitiness backing up the distillery's maritime character. Overall: A delightful combination of classic Talisker smoke and pepper, lifted with heady citrus notes.